Chernobyl brings to life the true story of the unprecedented man-made tragedy, and the brave men and women who made incredible sacrifices to save Europe from unimaginable disaster. The five-part miniseries will head to screens in May, and will be shown on Sky Atlantic and streaming service NOW TV. • Jared Harris (“The Crown”; Emmy nominee for “Mad Men”) portrays Valery Legasov, a leading Soviet nuclear physicist. As part of the response team, he is one of the first to grasp the scope of the unparalleled disaster that has occurred. 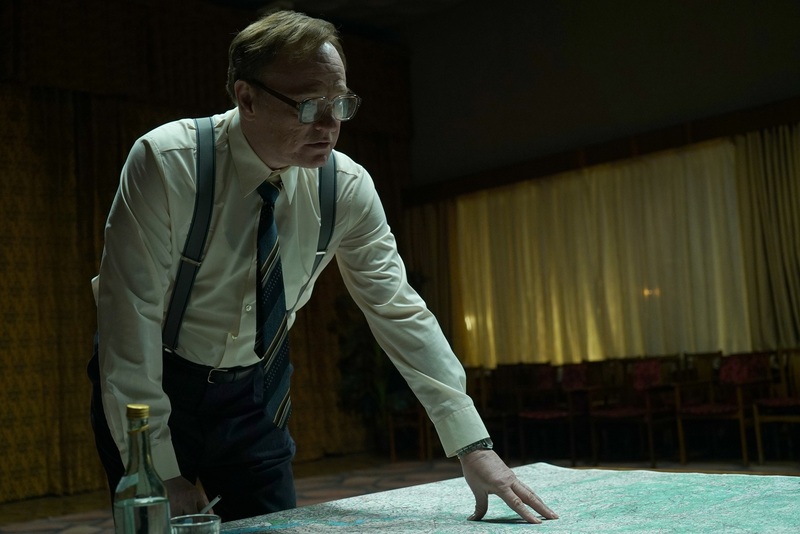 • Stellan Skarsgård (“Melancholia,” “Good Will Hunting”) plays Soviet Deputy Prime Minister Boris Shcherbina, who is assigned by the Kremlin to lead the government commission on Chernobyl in the hours immediately following the accident. • Emily Watson (Oscar nominee for “Hilary and Jackie” and “Breaking the Waves”) portrays Ulana Khomyuk, a Soviet nuclear physicist committed to solving the mystery of what led to the Chernobyl disaster. • Jessie Buckley (“Taboo”, “Country Music”, “Beast”) plays Lyudmilla Ignatenko, the young wife of Vasily, a firefighter who suffers from exposure to radiation at Chernobyl. More than anyone, Lyudmilla is the human face of the tragedy of Chernobyl, enduring unimaginable pain and loss. Written and executive produced by Craig Mazin (The Identity Thief, The Huntsman: Winter’s War), Chernobyl is directed by Johan Renck (Breaking Bad, Blackstar), and is executive produced by Jane Featherstone (Humans, Broadchurch) for Sister Pictures, Carolyn Strauss (Game of Thrones, The Wire) for The Mighty Mint and Gabriel Silver for Sky. Johan Renck and Chris Fry (Humans, The Smoke) co-executive produce and Sanne Wohlenberg (Black Mirror, Wallander) produces. All four first look images are available to download here.